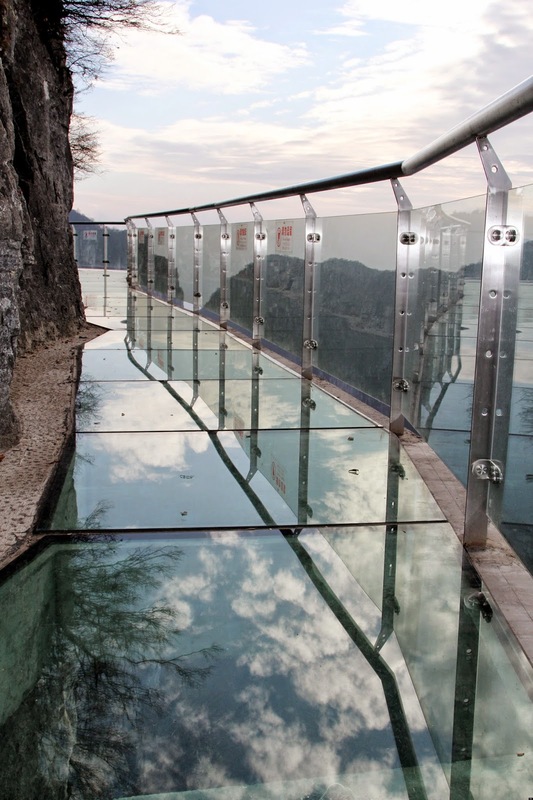 China’s latest glass bottom bridge has been newly accessible to the public since September 2014. 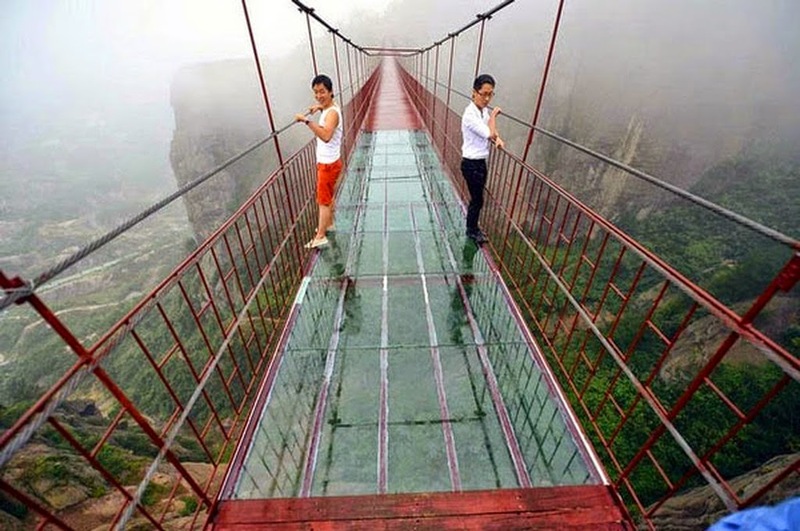 It is basically a hanging bridge made of glass and it is about three hundred meters long connecting two rocky peaks. 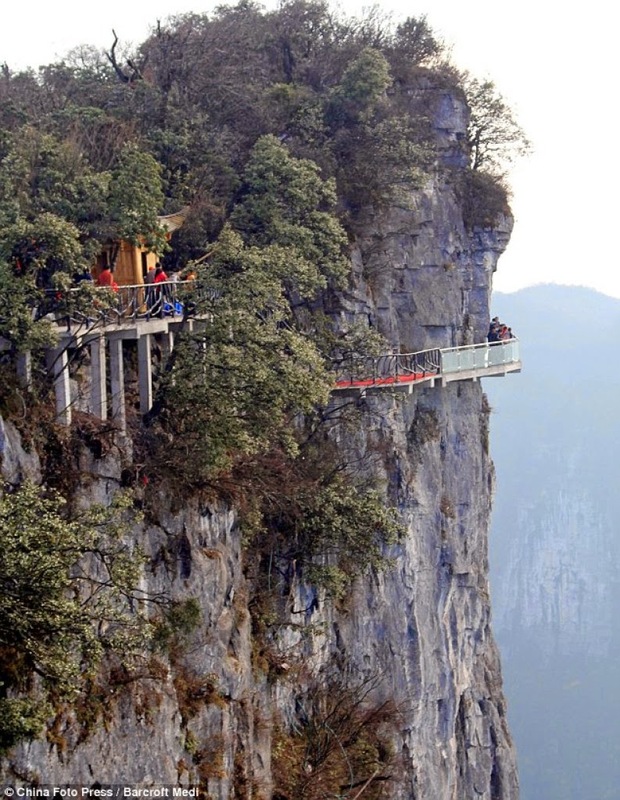 It is suspended 180 meters above a valley in Pingjang, China. Pingjiang county is found in the Hunan province which is located in the south-central part of China. The bridge offers a spectacular view of the valley beneath it as well as the surrounding natural beauty. It also sways when there is a breeze. 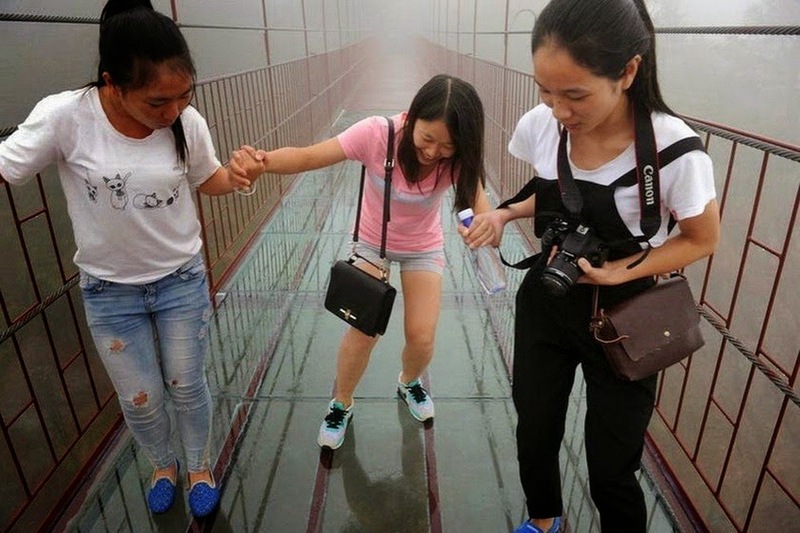 There is no doubt of the absolute terror induced in some people at the mere thought of walking on that bridge and seeing everything below as if suspended in air. Others may be prone to panic attacks. It is definitely not a walk for the faint- hearted. 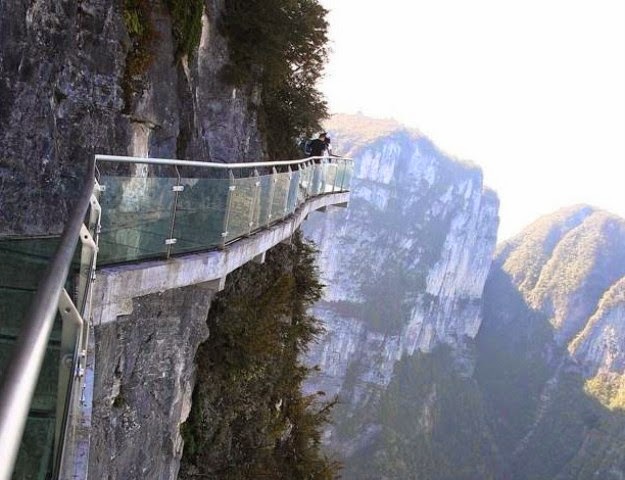 A spokesperson from the tourism board has admitted that the bridge was designed to “shatter but not break” in the eventuality that a rock from one of the nearby mountain cliffs should fall upon it. One can only imagine what happens when the bridge sways. 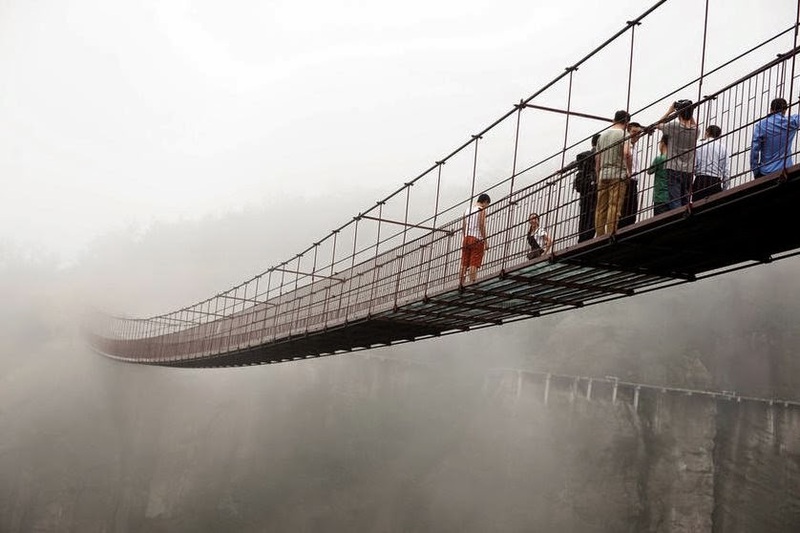 It would probably cause several people to shout in panic and try to find a stable foothold but unfortunately for them, the bridge only offers extreme sensations and no guaranteed stability whatsoever unless they are able to reach safe ground by crossing over to the other extremity. It is most certainly an experience that will not be erased from the memory of a person for a long time. It offers the thrill of a lifetime for some people but is most importantly a heart-racing achievement for the most daring and can be considered as an extreme adventure. While it is most certainly scary for some, others delight in the kinds of sensations triggered by the experience.